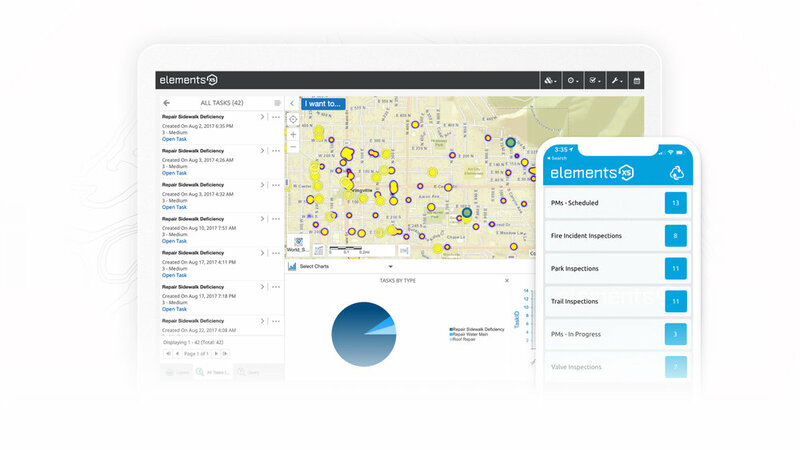 The Elements XS Connect platform includes powerful tools designed to streamline permitting and related processes. Leverage your GIS to take applications and payments online. Create any type of permit, tailored to your organizations needs. Take advantage of modern scheduling tools and streamlined processes for completing inspections using mobile devices in the field. Track violations and manage required follow-ups. Auto-trigger follow up actions based on timelines and other user-defined criteria. Track applications, licenses issued, expirations, and more. Design your own permits and add unlimited user-defined custom fields to each type of permit. Create unlimited types of permits and define unique properties and fee structures for each type of permit. Create your own workflows and business processes for individual types of permits without changing application code. Custom Forms. No Custom Code. Create your own permit layouts and customize the form however you’d like. Receive real-time updates when things that you care about happen. Create user-definable scenarios that trigger user-definable notifications and follow up actions. Elements XS uses the latest bootstrap and adaptive screen technologies, allowing users to submit permit applications from any device. Email, in-app, and text notifications. Live dashboards and map-based notifications? You bet. Quickly interact with applicants to streamline the permitting process. Contractors and owners can submit permits online, receiving real-time status updates and notifications as their permit progresses through it’s lifecycle. Built on ArcGIS, Elements XS provides a Direct real-time connection to your ArcGIS Enterprise and/or ArcGIS Online environments. Use the native ArcGIS integration to visualize permit locations as well as inspections, active licenses, and other important information. Take payments online and define fee structures that are as complicated or simple as you’d like. Schedule inspections, create follow up inspections, and manage inspections that are past due. Create follow up actions that get triggered by any scenario you’d like. Want a follow up inspection to auto-generate when a previous inspection fails? Done. Calendars, maps, dispatch tools, balance workload. View aging permits and inspections that are past due, other important information.